Steve Bogatz has been in the water conditioning business for 30+ years and prides himself in understanding the needs of his clients. 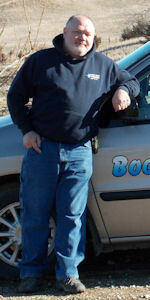 Steve and his family have been in the Yankton area for the last 10 years providing those water conditioning services. He and his wife, Joyce, are now the owners of Bogatz Water Conditioning which is located in Yankton South Dakota. Based out of Yankton, that allows us to serve South Dakota, Nebraska and the surrounding areas. We provide sales, service, and installation of household, commercial and industrial applications of water softeners, reverse osmosis, and whole house treatments in those areas. Steve has the knowledge and equipment to fix your water issues, plus we also provide salt delivery and schedule you for filter changes! If you need service after the sale you can count on Steve to be there when you need him. Just give us a call at: 605-760-7324 or e-mail Steve at stevebogatz@yahoo.com.